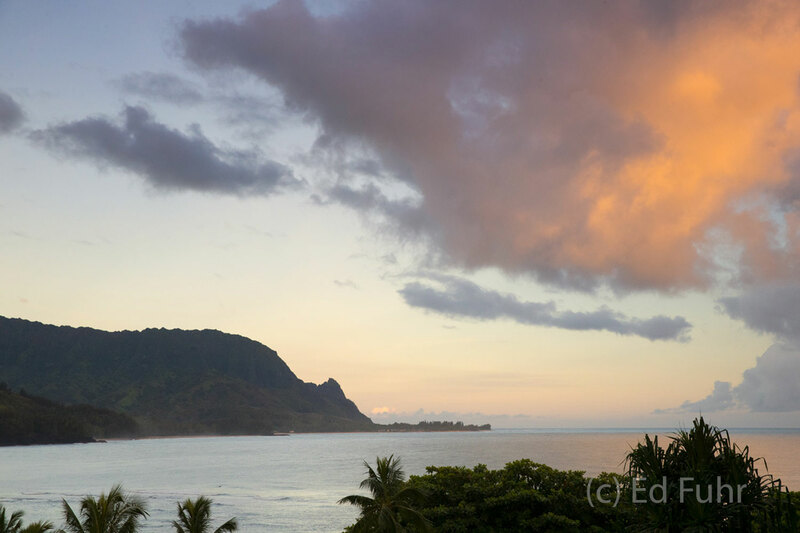 Sunset from the St. Regis in Princeville. Around the point is the northern end of the Na Pali Coast. Heavy rains earlier in the spring - in one day over 40 inches - destroyed the short road to this point, necessitating a three hour drive around the island to approach from the other side.